I love making soup on cold days and busy days. And days that I don’t want to make a lot of fuss in the kitchen. 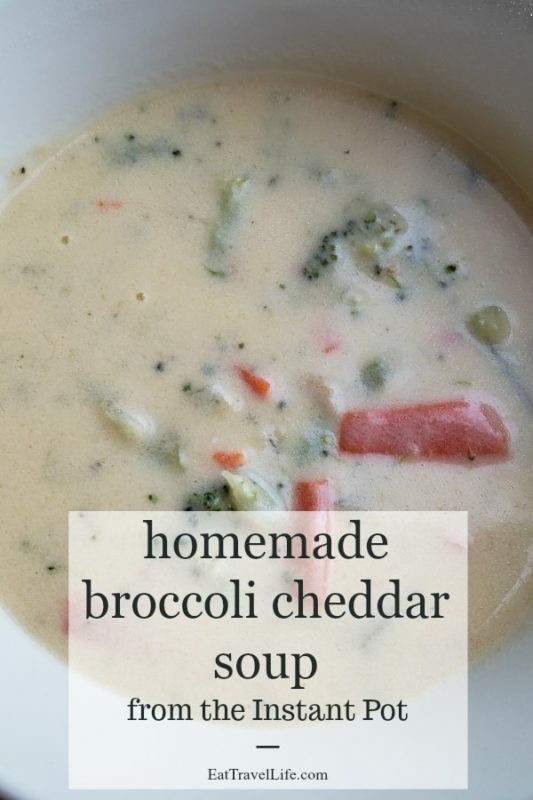 One of my husbands top favorite soups is broccoli soup. 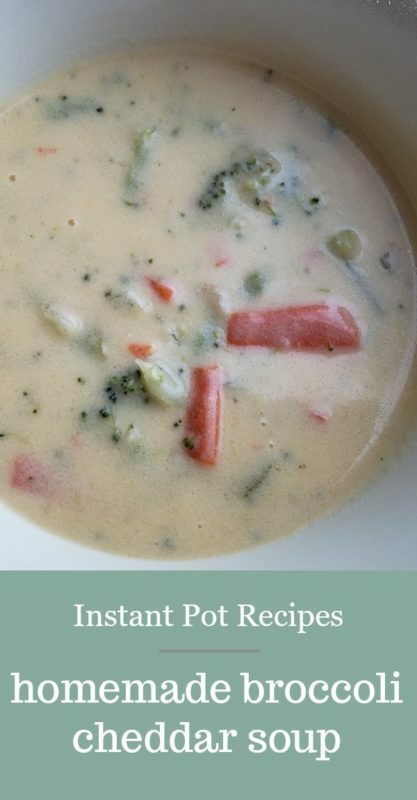 So when I had a change I made homemade broccoli cheddar soup in the Instant Pot. It was pretty quick once everything is put into the pot and closed up. 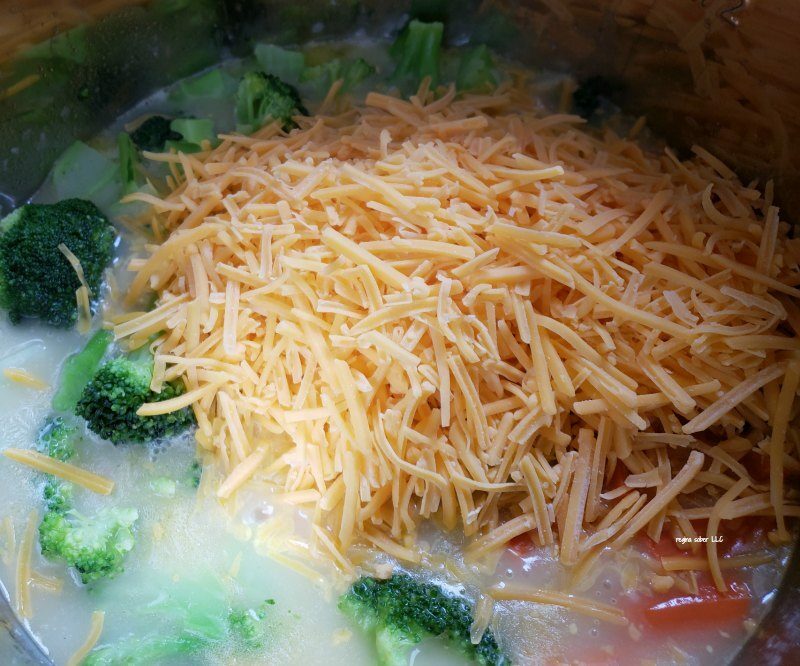 You do wait until after it processes to add the cheese and milk. 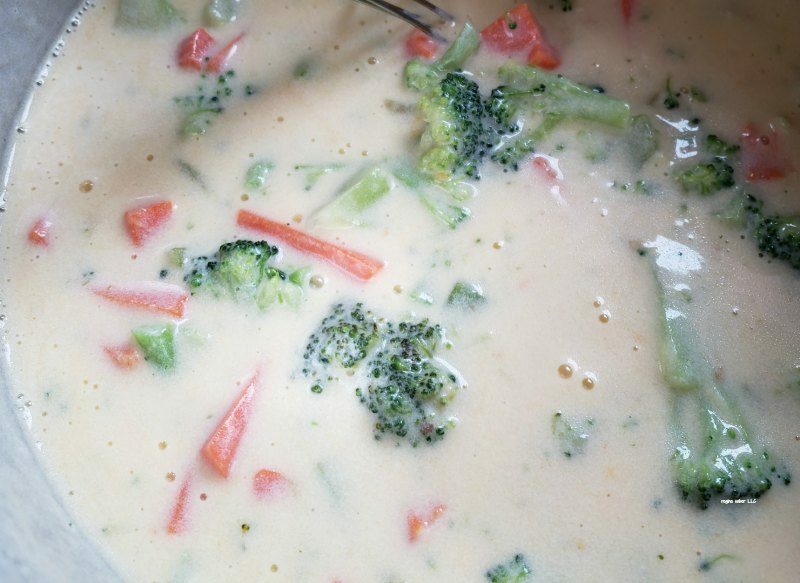 This makes the soup nice and creamy. I want to say it made about 6 cups of soup, I didn’t actually measure, enough for 4 servings is my estimate. We put the leftovers into individual containers to freeze and bring out later. Perfect for him to take to work if he doesn’t eat it at home. Put the Instant Pot on saute. Add the butter and allow to melt with the minced onion. Add the flour and stir. 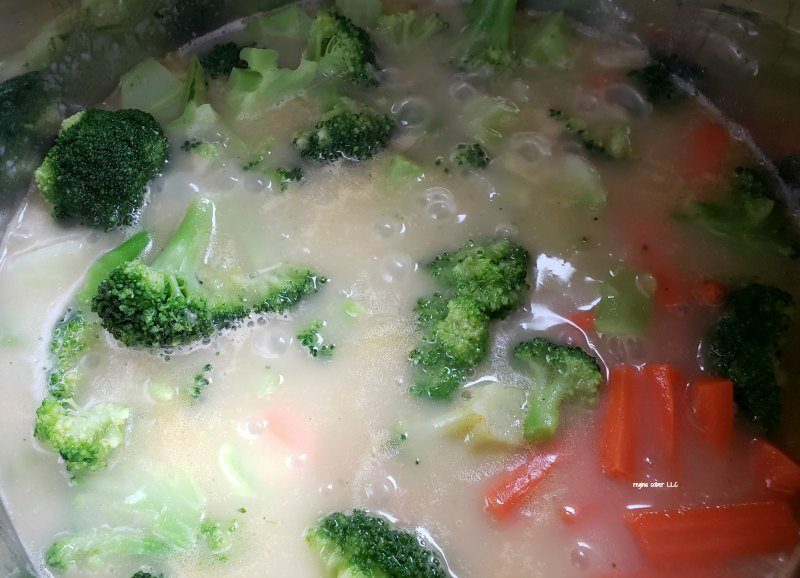 Pour the chicken broth into the pot and stir until their are no lumps. 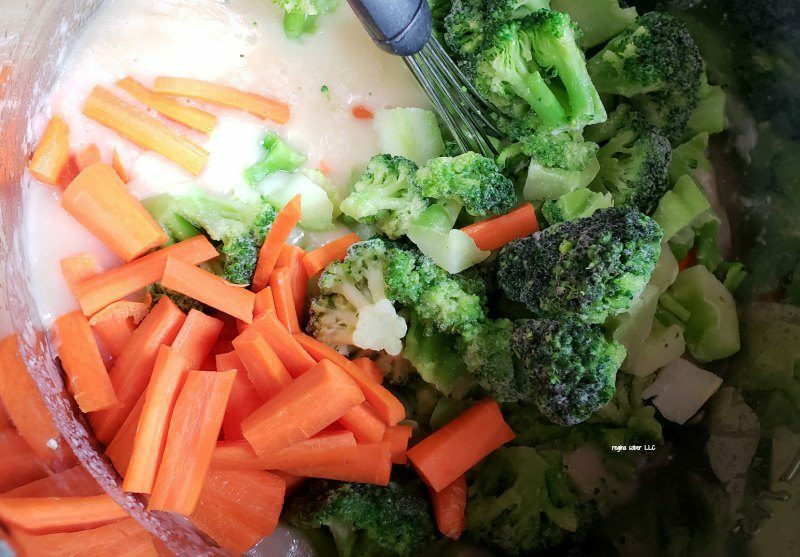 Add the broccoli, celery, pepper and carrots and stir. Seal the Instant Pot and set for 8 minutes. Allow 8 minutes NPR (natural pressure release) and then do quick release and remove the top. Turn the Instant Pot back on to saute and add the cheese, milk and half and half. Stir to incorporate. 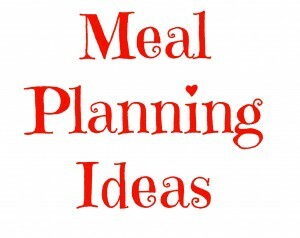 Cheese should be melted and the soup should be medium heat. Turn off Instant Pot. 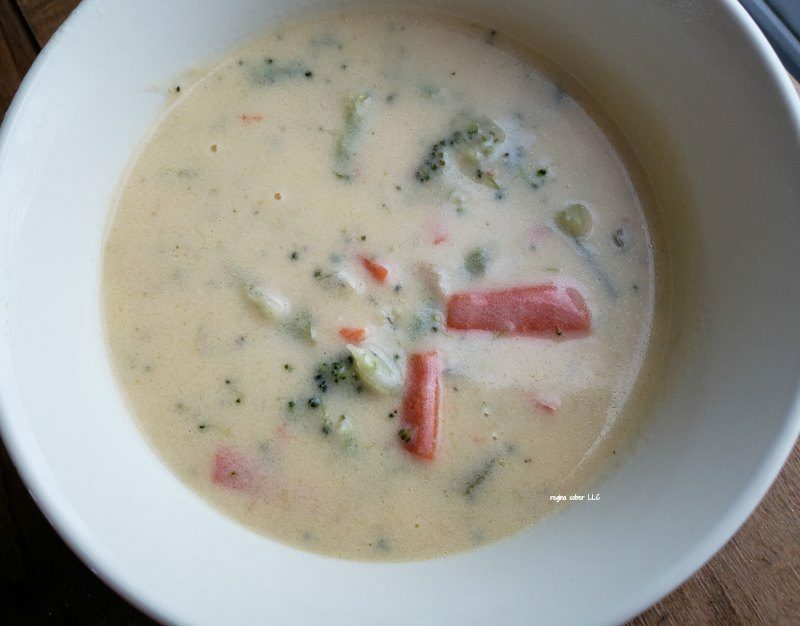 Serve soup and enjoy. These broccoli pieces were a little big. We ended up cutting them up with a knife.